Data rescue is the process whereby original data records are catalogued, imaged and transformed into digital format. Met Éireann’s archive contains handwritten climate and rainfall records dating back to the mid-1800s. 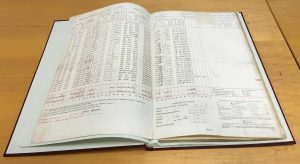 These data records are at risk, due to the vulnerability of the original paper, and it is therefore very important to digitise them to ensure that we have as long a climate record as possible. Digitised long-term, high quality climatological series are vital in order to understand climate change. They are also important for verification of climate models, allow trends and extreme events to be assessed on a longer time scale, support effective climate risk management and improve future climate projections. Met Éireann’s archive contains climate and rainfall records dating back to the mid-1800s. However, except for data recorded at the synoptic stations available from 1941, rainfall and climate station records predating 1961 have not been digitised. Non-digitised data are at risk due to the vulnerability of the original paper record. The task of digitising these is daunting both logistically, and in terms of the volume of records that need to be rescued. Data rescue is being carried out in Met Éireann and we are also involved in data digitisation projects with external organisations. 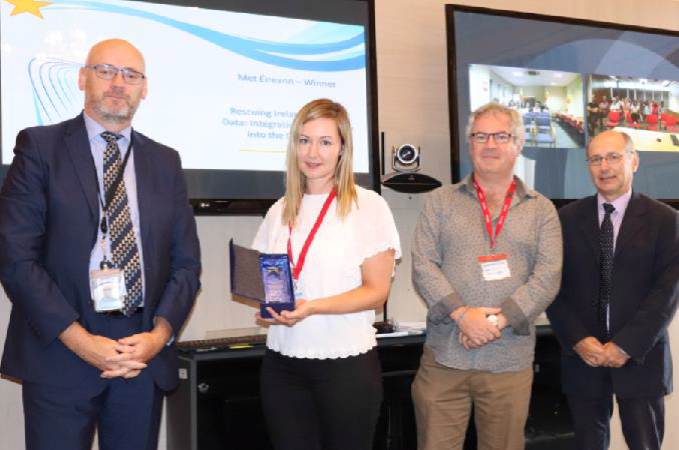 The importance of data rescue is recognised worldwide and Met Éireann is involved in I-DARE, a data rescue initiative set up by the World Meteorological Organization, and a European initiative by EUMETNET called DaRe. Some of these projects are summarised below. In 2016 we undertook a pilot project “Integrating data rescue into the classroom” in collaboration with the Geography Department in Maynooth University. As part of a climate change course, undergraduate Geography students learnt about the importance of data rescue and earned credits by rescuing daily rainfall from images of the original records. The success of the project led to it being repeated in 2017. To date over 3,000 years of daily rainfall records (note that this does not mean a 3000-year time-series) have been rescued and are being used to create daily rainfall time-series dating back to the mid-19th century. Some of the Met Éireann recipients of Réalta Award 2018. This partnership has been very beneficial to both Met Éireann and Maynooth University and is still on-going. The methodology has been published in the Bulletin of the American Meteorological Society. The publication presents an overview of the project and its management. Project resources (e.g. video tutorial, transcription templates, student aids, programme code) have been made available to facilitate the extension of the project to other institutions. University College London have since integrated the approach as part of teaching their course on practical statistics. Ciara Ryan, Ph.D. candidate in Maynooth University, won a Postgraduate Research Impact Award for her role in this project. In addition, staff from Met Éireann (Mary Curley, Conor Daly, Karl Lawlor, Dara Lucy, Tom Murphy, Ciara Ryan and Mairéad Treanor) won the Department of Housing, Planning and Local Government Réalta Award for the project “Integrating Data rescue into the Classroom” earlier this year. Hugh Kiernan and Simon Boland (now retired) were also involved in the initial stages of data rescue at Met Éireann. In the past year a collaboration started with the Central Statistics Office (CSO) to digitise climate data. At present the project is focused on rescuing all meteorological data recorded at the Phoenix Park station, which is an important station as it has a continuous climate record dating back to the 1820s. The CSO has a long history of data capture in terms of infomation about the population, agriculture, and other areas of statistics. This experience, combined with knowledge of the importance of subsequent data checking, makes the CSO an ideal partner for Met Éireann. The work is being carried out by a combination of temporary clerical officers, graduate placement staff, interns, students on work experience, and volunteers from other CSO Divisions. Met Éireann also cooperates with a Ph.D. student in the Geography Department, NUI Galway who has just completed the rescuing of long term maximum and minimum air temperature data for 11 climate stations. These series have been digitised by citizen scientists, geography undergraduates, volunteer students at NUIG and approximately 150 transition year students. 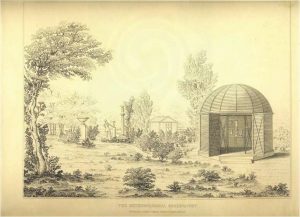 Whilst a large volume of data have been rescued over the past few years there is still a vast amount of work required to rescue all the climate and rainfall series in the Met Éireann repository and it is important that we continue our current collaborations and embrace any other opportunities to complete the task. Finally, whilst Met Éireann has a large repository of records it is important to continue searching for other old weather records. Some of these records are known but missing, such as the Kilkenny Castle series whilst others are still undiscovered. In the past year we were very grateful to some members of the public who contacted us about weather diaries. Over the summer we were delighted to discover complete climate records from Headfort House, Kells, Co. Meath. These records date back to the late 1800s and we had no knowledge of their existence prior to their discovery. We would be grateful if anyone who has knowledge of any old weather records in public or private collections could please contact mary.curley@met.ie.